Sculthorpe is an original voice in Australian music, combining an eclectic and constantly-evolving style rooted in classic forms with an intense interest in the indigenous music of his native land and the Pacific Rim. Sculthorpe's inventive and exploratory compositional techniques have made his music undoubtedly among the most important to emerge in Australia after World War II. His music has attracted willing performers and an avid audience for his eclectic style. However, it is not his musical craftsmanship but his determination to document, in sound, the socio-environmental character of Australia that has made Sculthorpe "the voice of the nation". 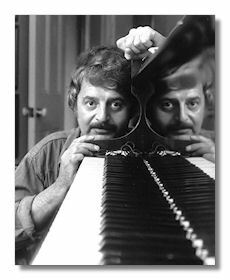 The mapping of his prodigious career has been made all the more easier for researchers with the publication of Deborah Hayes's bio-bibliography on the composer (Peter Sculthorpe: A Bio-bibliography, Greenwood Press, 1993).